Three planes, two buses, a shuttle and many kilometres on our feet we found ourselves in the deep Patagonia of Argentina and Chile. 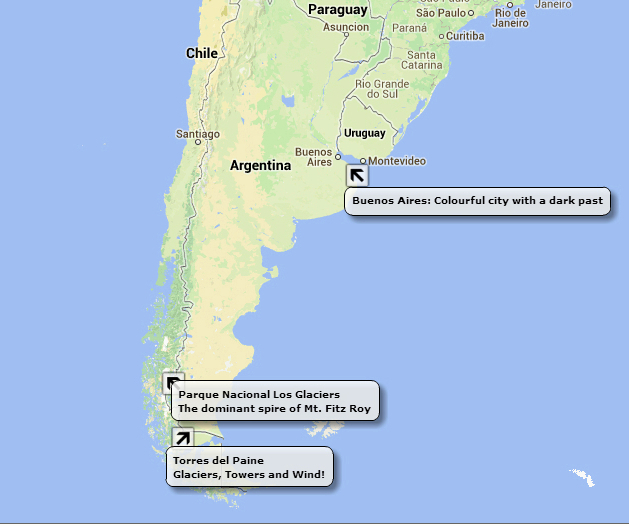 The vast area is renowned for it’s mountain towers, rolling pampas, layers of glaciers and wind!. We spent 3 1/2 weeks trekking and navigating (not always successfully!) our way around Parque Nacional Los Glaciers and Torres del Paine Park, as well as a few days on either side in the metropolis of Buenos Aires. Over the next couple of posts we’ll share pictures and stories of our favourite highlights, struggles!, and logistics of this magical place. 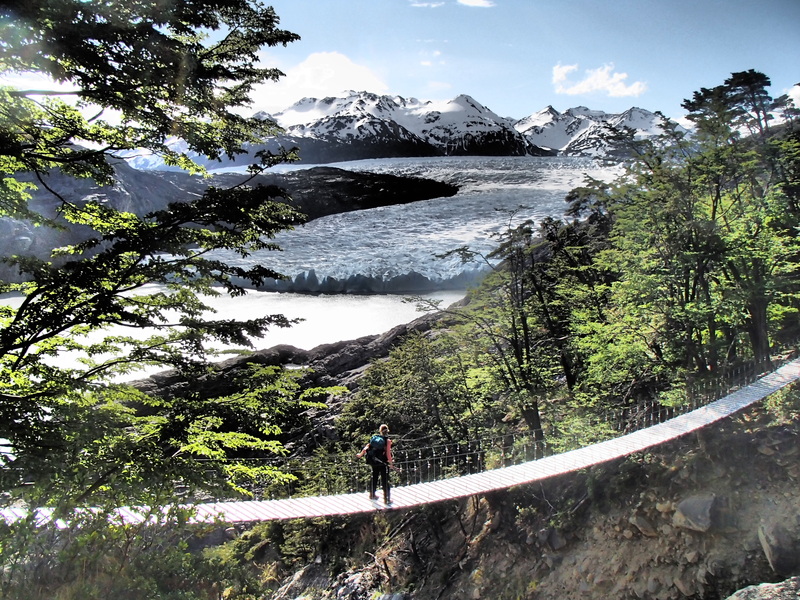 This entry was posted in Hiking, Travel and tagged Hiking, Parque Nacional Los Glaciers, Patagonia, Torres del Paine. Bookmark the permalink. With all you have to do setting up your new life in Richland, I’m sure the talent of writing and sharing INCREDIBLE photo’s may have to wait, but I am anxious to see more! It’s wonderful to go back in time and see past trips of heat and sunshine as our winter settles in around us now. Maybe you’ll be writing your next story on “Our Adopted Home” with pics of your new digs, the parks, the neighbours and obviously some or your favourite rides that you hop on at your back door! I could make my scrapbook of travels from some of your magnificent pictures without having to leave home. Thanks for taking the time to let us live along in your lives! That photo of the bridge is amazing. Wow.